Luxury minicoaches for hire in north west England for airport and seaport transfers, executive golf tour tranport across England, Wales and Scotland. 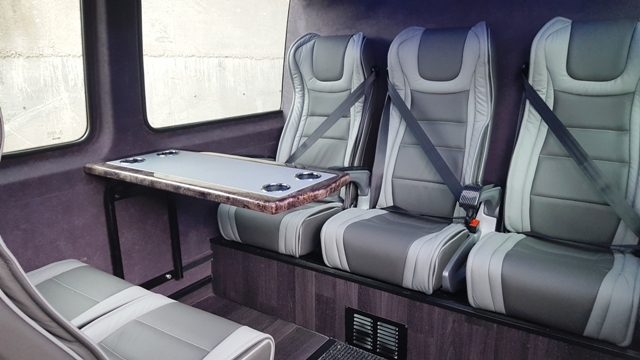 Our fleet of 7, 10 and 16 seated luxury minicoaches are upholstered to a high standard including leather seats with 3 point seatbelts and air conditioning as standard. All our vehicles have separate luggage space ensuring you can relax and enjoy your journey. Whether you require a transfer to Manchester airport transfer or cruise ship transfer to Liverpool cruise terminal, or planning your next golf tour across England, Wales or Scotland, or just a day tour, contact us today to discuss your luxury transport requirements. 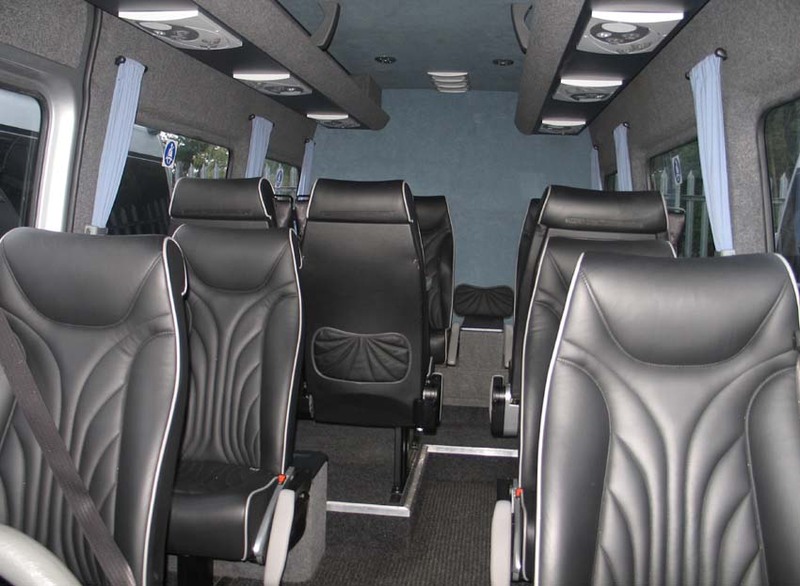 This luxury 7 seated minibus is ideal for transfering you to and from airports such as Manchester and Liverpool, as well as for those all important golf course transfers. With space to accommodate golf clubs and luggage in comfort getting you to and from your destination becomes a pleasure. This luxury 10 seated minicoach is ideal for airport and seaport transfers as well as golf tours across England, Wales and Scotland. It has good leg room with 500mm wide leather seats and plenty of luggage space, ensuring a comfortable and relaxing journey. This luxury 16 seated minibus is ideal for groups of up to 16 on a day tour or airport transfer, or for a group of up to 12 on a golf tour across England, Wales or Scotland. The vehicle has 2 tables, a fridge and reclining leather seats and plenty of leg room and luggage space, ensuring that for even those longer journeys you can arrive relaxed and ready to enjoy your day.